I did have a medical appointment during the week and I wanted to ask but the fact that it was late in the day and I was wearing my sneakers was just enough to stop me from asking. I’m really trying to let myself follow the Lose It program and give my body a chance to adjust. I did take a tiny peak at the scale on Saturday to make sure my body wasn’t freaking out. I was up just a little bit but Saturdays are never my low weight and we’d had chips the night before AND I put the scale back by myself. It was one thing to say, “Take this away from me,” and watch my husband not only take it but put it in the top of the closet but it was entirely something different to take it down, use it, breathe, check myself, and then put it right back on the shelf all by myself. It actually felt pretty freakin’ amazing! Non-scale victory…uh, huh, oh yeah, woot woot! I will peek at my weight again next Saturday just to see if I’ve balanced out. If not, I will go in and adjust my program. If I’m on a down swing, no weighing for a month!! Yeah, a WHOLE month. I have also tracked every single morsel I’ve eaten without concentrating too much on hitting a certain target. Actually, that felt pretty good too. I did worry when I had one really high calorie day but I also watched as my body naturally adjusted the next few days with a lower appetite. Humm, maybe my body is smart…lol…and yes I am really laughing at that one. The smart-ness of my body remains to be seen. This has been a poopy week. Yes, literally. Our plumbing backed up every single drain in the house. Some drains were even spewing raw sewage. Gross! The only day we didn’t have plumbers tearing up the house was Friday and that’s only because they had an emergency call and needed a full day to chip out the tile in the hall bathroom, pull the bathtub, and to repair what we are all sure is a broken pipe. They’ll be here Monday to do that. Just shoot me. I bet you’re wondering why I’m using my weight loss blog to share that with you. I am so glad you’re wondering because my point is life is going to throw you these moments and you are going to be tempted to let the stress pull you off track. This week I avoided sinking my plan very well. I need to tell you a little story to explain how I arrived here without stress eating. I had come from a place where I had lost weight very un-gracefully. I was exercising up to five hours a day and eating less than 1000 calories a day. I was reading books about anorexia and was seriously disappointed I lack a strong gag reflex so I cannot induce vomiting. I was in a terrible space in time and in my own head. 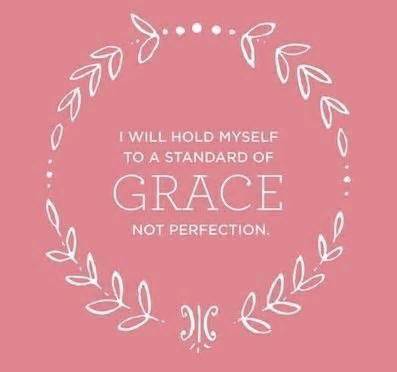 When I decided to finally shed the baby weight of four pregnancies, where for half of them I didn’t even lose the weight of the baby at delivery, I needed to find a better way so I picked “with grace” as my only goal. About the baby weight, no, I am not exaggerating. One delivery I left the hospital weighing MORE than when I went in and even had a 9 pound 1/2 ounce, 22 1/2 inch baby. I also had four c-sections and was told it was normal every single time. When that last baby was almost seven years old in 2002, I needed grace in the worst way. Fast forward to last year, my endocrinologist flipped out when I told him they advised me it was normal. The look of shock and horror in his eyes validated years of knowing something screwy is going on with my body. I was so grateful in that moment to be treating my body with grace all along. I cannot imagine the damage I would have done. As stinky as this week was (and we’ve had more going on than just plumbing issues) I am really proud of myself for not stress eating and arriving with my grace intact. That is one of the best non-scale victories there is. Oh you had to know there was a but coming, right? I did give in on my need to have some illusion of control. I do not feel bad about it either. I made this my year of accountability and one of the things I need to be accountable for is how stuck the scale is and has been for a long time. Yes, I know the scale isn’t the only measure. My black cargo pants do not fit and haven’t since the ‘mystery’ 12 pounds. The tape measure also isn’t moving. After reading a weight loss success story where the loser used the Lose It website and app, I decided to give it a try. I really like it. I’ve been using Fitday.com since 2002 and love it but Lose It is sleeker and divides my day into breakfast, lunch, dinner, and snacks so it lets me see where the room for improvement actually is. I also joined a weight loss challenge posted on the Lose It community boards. It’s the 1/2 pound a week one so it’s not totally out of the realm of possibility BUT I also know this is danger zone for me. My will and weight loss goals are at direct odds with my body. So let me stress that I do not have a goal to actually lose 1/2 pound per week. I meant what I said when I said, “No More Unicorn Chasing,” and I am not abandoning that stance for one second. I’m new to the Lose It program so I needed a place to ask questions and this group looked safe enough. I have already promised myself if seeing the success of others becomes a burden I’ll unclick immediately. And that leads me to the next Lose It group I joined….drum roll please…. I am giving up my scale for 30 days. Someone send me an extra helping of grace please! I also joined the 30 Days of Logging challenge where the goal is to log every bite for 30 days. I’ve been slacking here and there and with a general sense of “Why do I even bother.” That’s such a dangerous thought because I know it matters. After one day, I already found a couple of places to tighten things up simply because the format is different. Goal-less and extra accountability, I love it. The road to weight loss is not as straight as reality t.v. would have us believe. It is real for the contestants because they have an abundance of support and help. For the rest of us, there are so many more twists and turns along the way. Many of us navigate those twists and turns entirely alone. For those of us ‘suffering’–and I am not using that word lightly as most of you know I try to avoid labeling the journey that way–with stubborn weight loss, which is actually called diet resistant obesity (yep, it’s a real thing…look it up) that journey can be downright depressing and especially frustrating. Take me for example, I’ve been at this for over 12 years. In this pre-dawn moment of my life, I am tempted to say I’ve learned nothing in 12 years about losing weight. But that really is not the truth. The truth is I have yet to successfully apply any of that knowledge to my body in such a way that it yields the desired result. Part of the reason why is my body does not follow the rules. No, that’s not some lame cop-out or some dysmorphic delusion and I say that with all confidence because multiple doctors agree something is screwy. I take an enormous amount of comfort in knowing they cannot figure me out either as they tell me to continue doing all the right things I am doing. However, that does leave me feeling stuck sometimes. I want to know what to do to help my body lose weight. Everything I know to date is of little help. It can be maddening sometimes. When I am feeling stuck, I have developed the practice of searching for inspiration. This week, I found others who are stuck and that helped me feel better. Oh I’m not happy they’re stuck too. No. But I do find comfort knowing it’s not just me. Sometimes my state of stuckhood can leave me feeling lost, isolated, and alone. Now that you know my state of mind, you might be surprised to know I also took a huge leap this week and applied for a job as a personal trainer at a local gym. Less than 24 hours after sending my resume, I was interviewed by the manager for the personal trainers. As we talked about my journey and how I could help others she kept saying, “Wow, you really know your stuff,” or “Wow, you’ve really got the psychology part of this down.” She didn’t treat me like an insane fat girl who thinks she’s all that enough to train others. Nope. She treated me like a real person, like a wannabe trainer. She even gave me a few tips about how to mix-up my own routine. That felt great! Super great! At the end of the interview she recommended me for an interview with the location manager who happens to also be the territory manager for this particular chain. The training manager said I would know by Friday so I do not think I got the job. As much as I need a job right now, selling an obese personal trainer to their clients is about as hard as it gets. Personal trainers are supposed to fit. I’m not. I get it. Interestingly enough, this is the same gym that I did not join last week because money is beyond tight (that ended up being a good call, btw, as our plumbing backed up this week…ugh). There is a teeny part of me who was hoping they’d look past the extra pounds so those extra pounds would have a free place to work out. But, the part I want you to get is I applied anyway. I applied anyway because I know WHEN I get this weight off I am going to be one damned fine trainer. I’m living my life as if I were a fit girl…at least when I feel brave enough to click ‘send’ on an application. I had a client yesterday who was referred to me by her general practitioner for treatment of depression. She was a beautiful young woman but her grey eyes had lost their sparkle. She had a numbness about her… a dullness that made me feel sad for her. She said she’d had a miscarriage a few years ago, and since then she tried everything in her power to ‘fix’ her body. She didn’t eat anything sweet or yummy; she exhausted herself with a punishing exercise regime. She gave up on the one cup of coffee she used to enjoy every morning in her sunny little garden, and wouldn’t touch a drop of the red wine she used to love. She was determined to live a healthy lifestyle, to do everything ‘right’ in the hope of carrying a baby to full term if she ever fell pregnant again. As I sat there listening to her, I was aware that her intentions were noble. Her willpower, driven by the need to hold a baby of her own in her arms, was made of steel. But in the process, she lost her joy. And it occurred to me there and then that the path to wellbeing can NEVER be through deprivation. Isn’t this the truth? 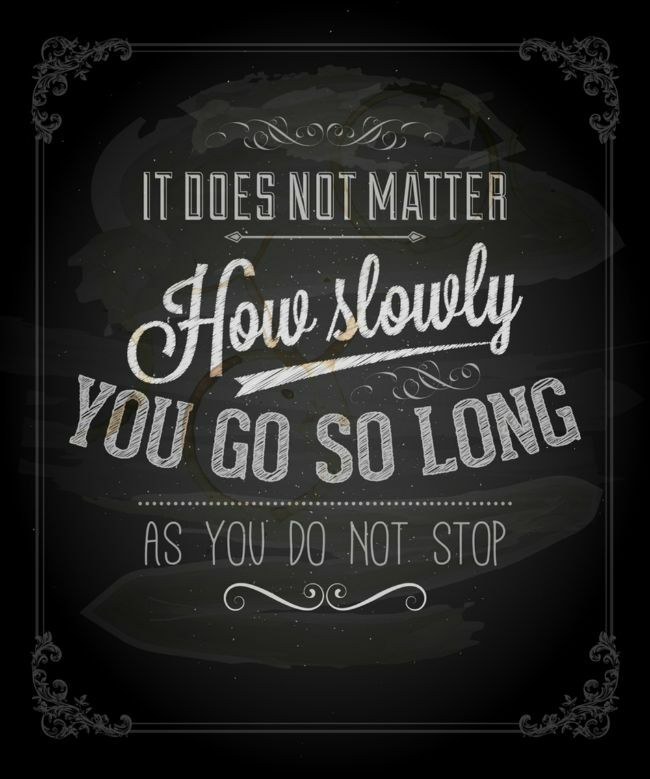 Sometimes we all get so wrapped up in achieving weight loss we forget to love ourselves through the journey. And that’s why I love the advice that came next…. There’s a lovely flow that happens when you allow pleasure into your life. When you relax into what brings you joy. You can eat nutritious wholefoods (and you should!) in a way that lights your taste buds on fire and indulges all your senses. You can move your body in ways that enhance your wildness, your freedom, your ecstasy. The path to wellbeing is through JOY. And that is what our first Soulwoman Circle is all about: Body Bliss. Finding joy through your body. Finding joy being IN your body. I didn’t get the job. So what. I was ready to put myself out there. My body’s not ready for the “You’re hired.” I can be both. I am both. It’s okay. Super non-scale victory! 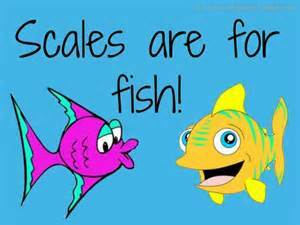 In other news, I’m pondering giving up the scale thanks in part to a conversation the training manager and I had. My weight is ‘up’ but thanks to my nifty body fat measurement I know it’s not ‘real’. I’m thinking I’m over the torture of weigh ins especially when my real goal is 30-percent body fat regardless of the number on the scale. If I am really serious about that as my goal rather than a weight, then why do I continue to weigh myself? So I’m going to try to keep this short (I know, I know I say that a lot). It’s been a LONG day and I was supposed to be taking a break from working on my novel to read to get a real good feel for chapter construction but that didn’t happen. In fact, nothing went according to plan today. Let me get the uncomfortable part out-of-the-way first. I passed on signing up for the gym. The math–doing the math–between my check and the bills just didn’t add up. I hate admitting that. Like REALLY hate admitting it. But, it’s also the truth. When there’s $60 leftover after the bills got paid, using $43 of it for the membership fee and first month just doesn’t add up. However, I came up with a compromise with myself. A day pass to the pool just up the street from me is $5. My goal is to go at least once before the end of the month…even if I have to save change to do it. I also need to get out and walk more because…. My measurements have basically stopped changing for the past six months. “Basically” means they bob up and down within a quarter of an inch from week to week. However, the big picture…the real picture is I am bigger inch-wise than I was on last 26 May when I weighed 8/10 of a pound more than I did yesterday. A year ago I weighed a little more but was smaller than I am now. The softness of my muscles explains it all. I need to give my body more resistance so it will shrink. It’s not just the tape measure either. I have pants that do not fit despite weighing less. If you remember this post from last year, you’ll recall the doctor tested my body fat at 48.5%. One of the bills I paid instead of getting a gym membership was a new scale. Since it was one or the other, I splurged and found a deluxe model that also tests body fat percentage. If it can be believed–and I have to believe in something right now for my own weight loss sanity–I now have a body fat percentage of 44.4%. Listen, it’s been rough. There’s no sight of relief in the immediate future so I have to count this as a win. Besides, this is my scale moving forward so I have this as my start point. This super duper scale does confirm one of the other results from my doctor’s visit: I have a higher than lean body mass. It’s what is helping me lean (all pun intended) toward the lower body fat percentage being accurate too. Having a healthy weight also needs to include your body composition. You can be thin and still have a too high body fat percentage. You can also weigh too much but have an acceptable body fat percentage. This is why the BMI scale is faulty since it does not take these variations into account. Honest to goodness kiddos, it was enough to pull me out of the post vakay funk I’ve been in. Maybe it’s wrong but it worked for me. That funk wasn’t any healthier than excess weight; I promise you that. Oh yeah, I’m also 2/10 of a pound LESS than I was on the morning of the cruise. That’s THREE POUNDS since I came home and 6/10 of it since last week and now I’m less than I was before I left which means I’m into the random 12 pounds. Relieved! If you’ve been following along at all, you know this much weight in two weeks is a big deal for me. The scale, the tape measure, body fat analysis, and clothes are all tools. Weighing Healthy is about using all the tools you have to give yourself the most accurate picture of your health. All the tools. Being real, being accountable is also crucial.